But she had to keep trying, despite the stresses to her own family, because children were being poisoned every day! I had nightmares for weeks. 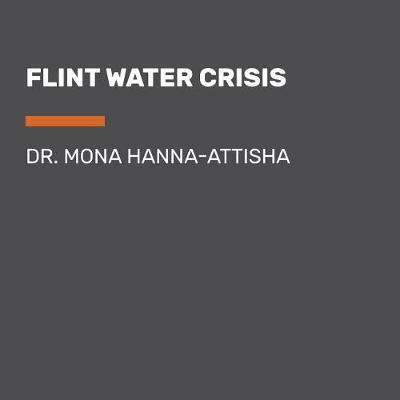 Mona Hanna-Attisha is the pediatrician who spearheaded the gathering of data in the Flint Water Crisis. Mona had doubts about her study. She vividly describes the effects of lead poisoning on her young patients. The music began again, worse and even louder. This book is more informative than any of the news coverage on the matter was and a must-read for all concerned citizens, parents anyone concerned about public health issues and even those concerned with environmental justice. While interesting, I'm not convinced it was necessary to this particular story. Fortunately for Flint, one particular pediatrician cared enough to push the envelope and confront those responsible. She is a dynamo of the highest order. The analysis of lead levels in Flint children at her hospital was met with denials, insults and misleading analysis of other data. People noticed the poor quality of the water, but the city and state claimed to have run proper tests and found it to be safe. Mona Hanna-Attisha I have found a role model. This review was written for. The switch of water sources was to save money and the failure to apply corrosion control was a further cost-cutting measure. What makes the Flint water crisis so fundamentally sad and wrong in the first place is that Flint saved mere dollars a day by eliminating corrosion control for its water system. What about my imagined government scientists with their white lab coats and test tubes? The city was in deep financial trouble in 2011 when the state stepped in to control the local government because of a blooming city budget deficit. Mona Hanna-Attisha is a true American hero. Anti-corrosion chemicals to protect the pipes were not added to the new water — either as a further attempt to save money or through ignorance of the requirement. I found it hard to put the book down as I followed her attempts to get information and answers, as she kept making contacts with people, kept thinking she was making progress only to have another set-back. The utilities do it all the time—trying to game the regulations and manipulate the data to minimize the amount of lead collected in a sample. She is at her best when recounting the detective work she undertook after a tip-off about lead levels from a friend. 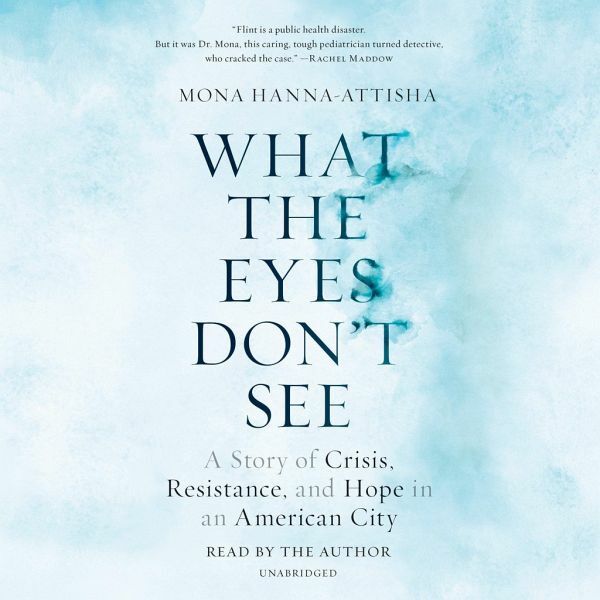 Thank you Dr Mona for sharing this story with everyone - I think it will give hope and courage to other people who are up against seemingly impossible fights for justice. She vividly describes the effects of lead poisoning on her young patients. However, if there's lead in your water, that's a whole other ballgame. This review was written for. But that call, made after Flint switched from the reliable-but-expensive Detroit water-distribution system to the highly corrosive Flint River, defied even the most basic engineering concepts such as those espoused by the Washington-based American Water Works Association. Sure, there are a few moments that require a little patience and an intellect to make sense of some numbers. But what if they're not? I liked how the author's own personal story, heritage, and family photos were interwoven with the author's fight to get county and state officials to acknowledge the water crisis they caused and to do something about the poison they let flow into the water affecting over 8,000 kids! The book itself was enlightening and a decent read. One would have thought it would have come from public health researchers and environmentalist epidemiologist-type people. 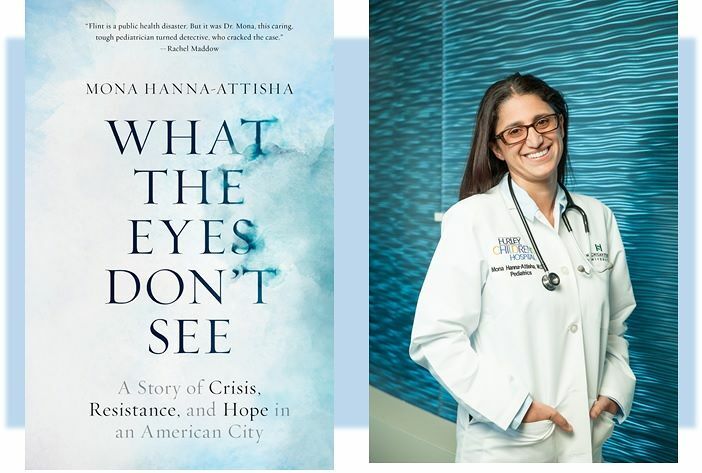 Mona Hanna-Attisha was the pediatrician, scientist and activist who proved that contaminated water in Flint, Mich. Mona Hanna-Attisha, the Flint, Michigan pediatrician who forced Flint politicians and bureaucrats to acknowledge, accept responsibility and take action to correct the problem of Flint children being poisoned by lead in their water supply. She was attacked by the government, her employer. Finally, the chief medical officer for the state conceded that her analysis was sound. Moral outrage present on every page. She did a masterful job weaving her ancestral history into her current day activism. This is the story of how a team of researchers, parents, friends, and community leaders proved that Flint's kids were exposed to lead-- and fought the government and a brutal backlash to expose that truth to the world. And at the center of the story is Dr. Well, then you have a situation like Flint. Moral outrage present on every page. This book will be of interest to not only those with an interest in the Flint water problem or environmental helath, but is recommended to readers who enjoy a story of political and medical intrigue. She paints a heartbreaking picture of the impact that lead poisoning can have, particularly on young children, and illuminates the perfect storm of greed, laziness, and systematic disenfranchisement that led to this tragedy. Hers is the book I'd recommend to those coming to the issue for the first time; the crisis becomes personalized through the stories of her patients and their parents. There are plenty of sources of information on this crisis. Only on a second look did I catch what the book it actually about. It reads like several things at once: a much deserved victory lap, a fast paced medical thriller, and an autobiography with stories from a family of super achievers. For all her doggedness, Hanna-Attisha is a goofy, appealing, very human narrator. It tells the story of the Flint water crisis first-hand, by one of the people who helped uncover the truth and bring the crisis to light.